Personalized Motivations Calendars Custom Printed in Bulk. Promotional, Very Inexpensive. Lowest prices in USA and Canada. "Early Bird" special! 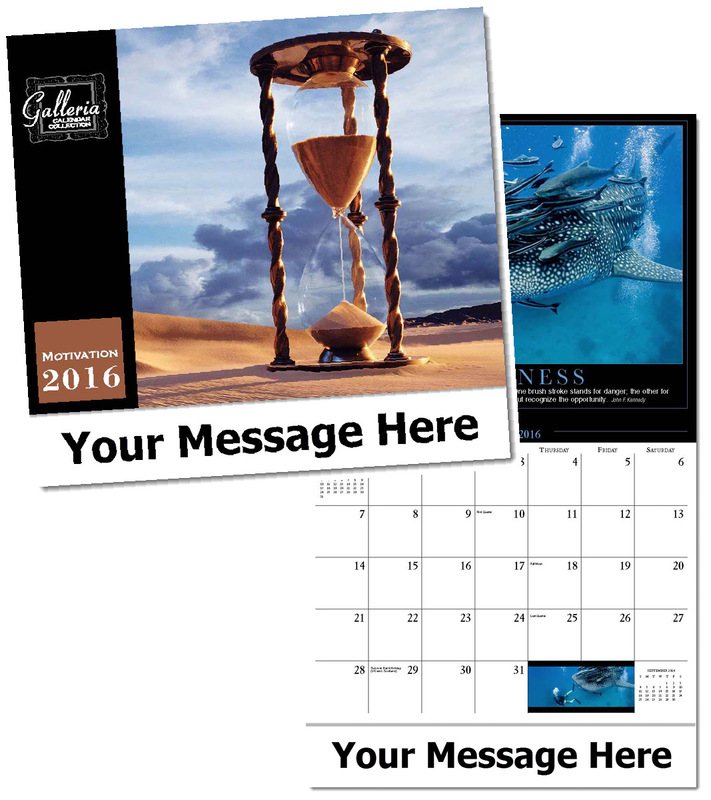 Bulk discount Motivations calendars, personalized your custom imprint . One of the best sellers, these moving images are accompanied by familiar quotations that illuminate key motivational values and attributes. Lowest price in USA and Canada for wholesale promotional Motivations calendars. Our high quality, low cost customized Motivations calendars include both American and Canadian holidays. See our "Early Bird" deep discounts on our Price Table below. American clients pay no taxes. Free artwork design and free proofs!